World of Warcraft has cemented itself as one of the greatest MMOs of all time. Many have come along since its launch and tried to imitate it, albeit with not nearly the level of success as the original. While World of Warcraft may no longer be the behemoth it once was, it still maintains a loyal fanbase. It's that fanbase that both Blizzard Entertainment and Dark Horse Comics hope will carry over to a new book born of a partnership between the two in World of Warcraft: Chronicle Volume 1. World of Warcraft: Chronicle Volume 1 is a journey through an age of myth and legend, a time long before the Horde and the Alliance came to be. This definitive tome of Warcraft history reveals untold stories about the birth of the cosmos, the rise of ancient empires and the forces that shaped the world of Azeroth and its people. The hardcover book features over twenty full-page illustrations by World of Warcraft artist Peter Lee and marks the first in a multipart series exploring the Warcraft universe; from the distant past to the modern era. “This is an amazing project that will be absolutely irresistible to the legion of Warcraft fans. The people at Blizzard have been great to work with and we are extremely happy and proud to be working with them,” added Dark Horse President Mike Richardson. 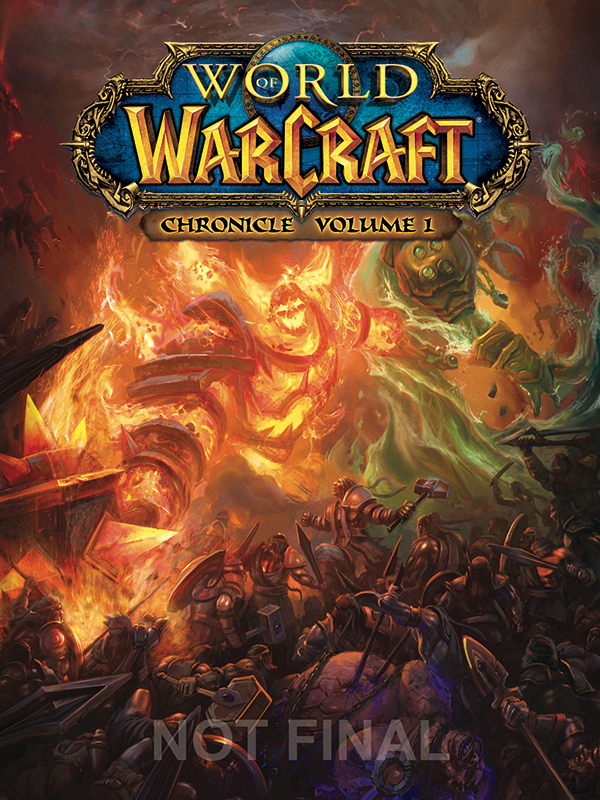 World of Warcraft: Chronicle Volume 1 is on sale November 4, 2015 in comic shops and November 17 in bookstores. Full press release below. FOR IMMEDIATE RELEASE: MILWAUKIE, OR – Dark Horse Comics is proud to announce a multi-volume series detailing the history of the Warcraft® universe: World of Warcraft®: Chronicle. World of Warcraft: Chronicle Volume 1 is on sale November 4, 2015 in comic shops and November 17 in bookstores! Preorder your copy today!